On February 6th 2015 the International Charter Expo was held in Opatija, Croatia in Marino Cvetković Expo Hall. Very nice idea and a great chance to meet ones partners and to discuss the very important themes and matters. Very well organised and a great way to generate business! Keep up the good work! It was the best – I have ever seen. Thank you! Everybody who is in the business was there, therefore thumbs up. I’m very satisfied about the expo because is a unique occasion to meet so many partner in a relaxing enviroment e without the crowd tipical of boat shows. With a central location, Opatija is easy to reach from many major European cities and airports. The city’s mild climate makes the region an enjoyable stay all year around. In addition to being popular as a destination for wellness and spa tourism, Opatija is becoming famous business destination for congress tourism. Add in the coastal promenade Lungomare, clean beaches, green parks, fine dining and the cultural aspect, and you get a city packed with enjoyable and entertaining options. Countless monuments and sites fill the city including Villa Angiolina, St. Jacob’s Church, Slatina Fountain and the Croatian Walk of Fame, among many others. Grand Hotel 4 Opatijska Cvijeta is located in the very centre of Opatija; 500m from the ICE ’15 and 500m from the harbor. The official party on Friday will also be held at the hotel itself or immediate proximity. The hotel has 223 rooms and suites. Grand Hotel 4 opatijska cvijeta has been awarded 8 times in the last 10 years and prestigious awards are given in recognition of exceptional quality within a property’s star rating. Exhibitors (charters and suppliers) can book their accommodation at discounted prices directly with their respective coordinator. 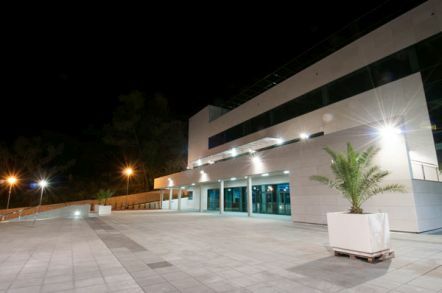 The Marino Cvetković Sports and Expo Hall is new multi-purpose structure built in Opatija. Sports Hall covers an area of 11,000 square metres and includes a large sports ground of 1,800 m2 that can be adapted depending on purpose with 1,217 seats, and a small sports ground of 200 m2. The hall also includes additional amenities such as reception, locker rooms, meeting rooms, restaurant, terrace for VIP events, medical office, wellness centre (saunas, massages) and outdoor public square. In the basement is a parking garage with 137 parking spaces and 5 parking spaces for the disabled. Next to the hall there are 5 bus parking spaces. The hall can host various sporting events (handball, basketball, volleyball, futsal, tennis, table tennis, gymnastics, badminton, box, wrestling etc.) and a variety of cultural, business, exhibition and entertainment programmes (concerts, exhibitions, fairs, conventions, congresses, business meetings).